Vietnam is filled to the brim with breathtakingly elaborate natural and cultural phenomena. Experiencing a nation that is thousands of years old is bound to hold something gripping for everyone. Behold thought-provoking sights of the Vietnam War, a host of UNESCO World Heritage Sites, perplexing yet endearing ancient customs and traditions, and a home to over 54 different ethnic minority groups; Vietnam truly has it all. Here’s a list of just a few of the amazing cultural places to see and things to do from Sapa in the north of Vietnam, all the way down to the Mekong Delta Region in the South. Sapa is situated by the Chinese border in the province of Lào Cai, in northwestern Vietnam, at a distance of 380 kilometers from Hanoi. Sapa tucked within the Hoàng Liên Son mountain range, which permeates the entire landscape with its steep ridged mountainous ledges, is the easternmost extension to the Himalayas. During the 1990’s, Sapa became well-thought-of by unafraid globetrotting trekkers, thanks to its largely untouched landscapes, it has now become an easily accessible must-see destination for tourists visiting Vietnam. The best way to see and explore Sapa is undoubtedly by foot. A huge variety of trails and passageways lead you through elusive ethnic minority villages, into dense jungles, over and under waterfalls and along the many gleaming rice terraces. Spend a night within one of the villages or at a quaint home stay and delve into the lives of the many versatile resident local minority communities. There are five different ethnic minority groups native to Sapa, each with their own hill-tribe culture and background. The Hmong makeup roughly half of the minority population in the area, followed by the Dao and then the Tay, the Giay and a small population of the Xa Pho people. Only a small fraction of such ethnic minorities live in Sapa, since most reside in their respective villages or communes scattered all around the place. Reaching out to these villages by trekking along jungle laden trails, across valleys and rice paddies, riverbeds and sloped mountainous ridges is what Sapa is all about! Sapa provides a vast multitude of top-notch trekking routes, suitable for both the avid adventurer and the more leisurely walker. For those who are rushed for time, treks can be done as half-day or full-day tours. 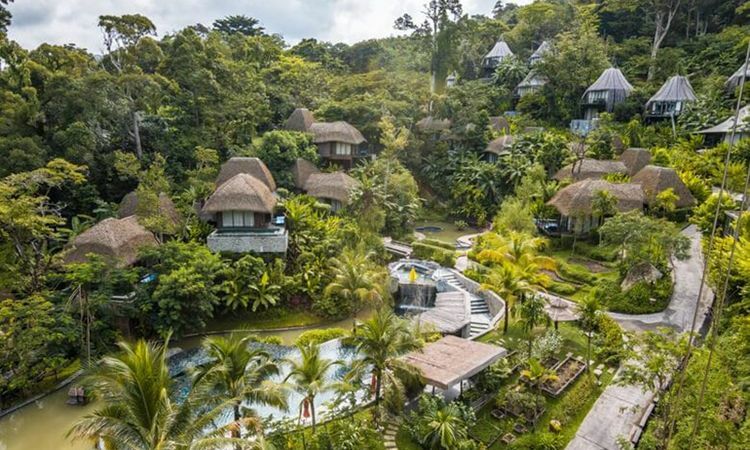 However, it’s highly recommended that you reserve at least 2-days and 1-night for a decent experience, which would bring you further away from any sites of mass tourism. Sapa is a highly popular trekking destination, so you’ll more than likely run into a few other fellow trekking groups along the way. Should you wish to feast upon the best panoramic views of Sapa’s landscapes, it’s recommended that you hire a guide that will be able to show you to the most stunningly scenic trails and the best viewpoints. Without a guide, such sights may be much harder to find, and thus more time consuming, too. Sturdy local ladies from various hill-tribes often offer guide services, and are able to organize overnight accommodation at a charming home stay. If you would like to know more about what cultural experiences are available in northern Vietnam, take a look at this trip entitled North Vietnam Odyssey for more inspiration! 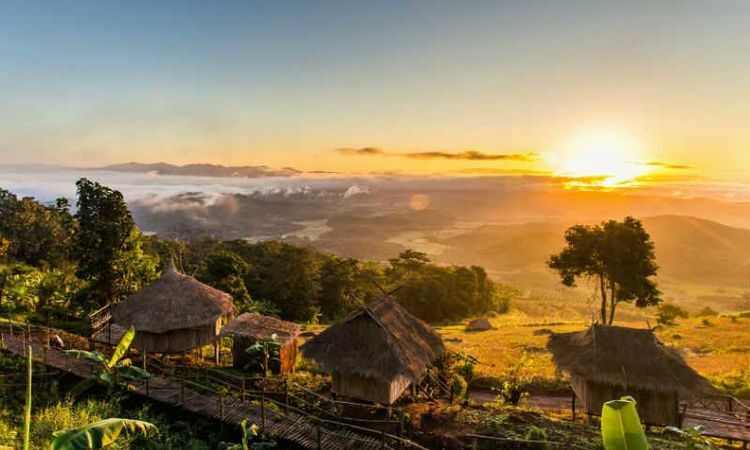 At a distance of 150-kilometers southwest of Hanoi, Mai Chau makes for a great place to spend a few nights to soak up some rich Vietnamese heritage, admire the stunning views, and eat tons of great authentic local food. Staying at a home stay and being hosted by a resident ethnic group is a great way to experience Mai Chau. Originally descending from China, Thailand and Laos, both of the more sizeable minority populations within the area, the Black Thai and White Thai minority groups atypically build large houses which are extended into the air using long wooden stilts. The reason for this being is so that the house doesn’t become waterlogged, or submerged during floods or heavy rain. Another reason being that wildlife such as snakes, leopards or other potentially harmful wildlife can’t get in. Stilted minority houses come in different shapes and sizes, particular difference can be noticed in the Thai minorities’ choice of roofing. The Black Thai believe that a tortoise taught them how to build houses, and this is why roofs are shaped as such. Upon the convex roof, are two poles called Khau Cut, these resemble the owner’s societal status. A rich owner would have engravings on their pole, while a poorer family would use plain poles. Newly wedded families often engrave an image of an expectant mother, as a prayer for prosperity within their marriage. Thai minority houses are usually built without the use of a single nail. Materials include bamboo, sturdy reeds, and a thatched roof. The components and even the foundations of the house are bound together using strings of bamboo. In comparison to other minority groups, the Thai use a ridge beam to uphold the thatched roof. Black Thai minority people ensure that each house has an odd-number of rooms, as well as an odd-number of stairs on each stair case. The rear staircase is designated for women and has 9 steps, while the staircase to the front of the house has 7 steps and is only used by men. Another great reason for choosing to stay at home stays within Mai Chau is to get the chance to experience a very special cultural spectacle; the Xoe dance. This celebration was originated by the Thai minority people, thousands of years ago, however other minorities groups have adopted variants of the original and the dance is now used to show solidarity among the different groups. This northwestern Vietnamese tradition is usually seen at festivals. The dance involves boys and girls from different villages joining hands and dancing in a circular fashion. Vietnamese theatre is heavily influenced by Chinese opera, and comprises of different genres such as cải lương, hát tuồng and hát chèo. The art of water puppetry (múa rối nước) is an unambiguously Vietnamese art form. The premier venue for showcasing this particular fine art is at the Thang Long Water Puppet Theatre, right besides Hoan Kiem Lake in the capital city of Hanoi. Other places to go and watch the show include the Vietnam National Puppet Theatre (also in Hanoi), as well as the Hoi An Theatre, in Hoi An. Originating from the Red River Delta region in northern Vietnam during the 11th century, this is a highly unique variation of the ancient Asian art form. The water puppet theatre’s stage is a large submerged waist-deep pool, with a curtain in the middle separating the actors from the front-end of the performance. Long bamboo poles and a string system are used underwater to steer the puppets through their various actions. This tradition derives from rice fields flooding and then people would use such water puppetry as entertainment. The puppets themselves are carved out of wood before being painted and coated in lacquer. It’s interesting to note that each puppet can weigh as much as around 15-kilograms! A traditional Vietnamese orchestra accompanies the water puppetry performance, poised on a raised platform overlooking the watery stage, improving the musical acoustics. Instruments include drums and horns, wooden bells and cymbals, monochords and gongs, as well as bamboo flutes and vocals. Different instruments are used, depending on what is occurring during the scene. Performances are rural themed, and usually tell stories about significant Vietnamese folklore, legends and national history. Skits portray moments from the daily lives of people living and working in the countryside. Humorous, exciting and emotional tales are told, so get ready for quite the experience. An outstanding attraction just outside of Hanoi, the ancient Bat Trang pottery and porcelain village offers an interactive glimpse into an age old Vietnamese tradition of producing and exporting ceramics. This village dates back to the 14th century and still produces a wide range of useful or decorative goods. From household items such as ceramic pots, plates, and bottles to decorative pictures to hang on walls or even items of religious worship, these ceramic products come in all sorts of modern, and ancient decorative styles, so there’s surely something to be found for everyone. Activities in and around the pottery village of Bat Trang include walking along rice paddies and taking a cruise using a buffalo wagon, visiting ancient pagodas, small lanes, and other remnants of the past. Visitors must check out the village’s ceramic marketplace where you may learn to make your own porcelain products! A great place to spend an afternoon, make a range of gifts to take back to your loved ones and enjoy learning about the ancient trade of ceramics! At the pottery market, you can be instructed through the process of creating your own ceramic artwork, for a small price. Once you’ve decided on what you’d like to make- such as a plate, a cup, vase or a sculpture (be as creative as you want! ), you’ll be handed a block of moist clay and a turntable. Use the assistance of one of the professional local ceramics sculptors should you need it, they will know it all! Once the molding is complete, the sculpture is set to dry for roughly 30-minutes, then decorated and heated in a furnace. This is an absolute must-do experience when visiting the capital city of Hanoi and not to mention that such handmade ceramics are a fantastically unique souvenir idea. 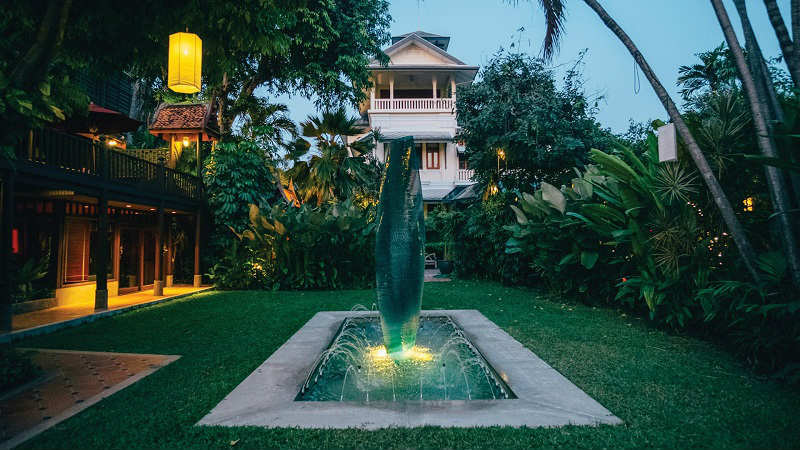 Hue is a tranquil ancient central Vietnamese town poised along the Perfume River, with a great deal of historical importance spanning over multiple centuries. Other than being renowned for its exquisite local traditions and cuisine, Hue boasts one of the most important historical sites in the entire nation, the Imperial Citadel. Built to face the Perfume River, the Citadel used to serve as the old capital, until the arrival of the French during the 1880’s. Though the grounds remained filled with grandeur buildings and lots of unused housing, the Citadel became neglected and weathered down over time due to non-use. Multiple military conflicts since then further degenerated the historical location, out of 160 significant structures, only 10 remain today. The Imperial City was made a UNESCO Heritage Site in 1993. The remaining buildings and structures are being preserved and gradually restored. The Citadel consists of large external fortified ramparts, encircled by a large moat which is fed by the Perfume River nearby. Within the Citadel lays the Imperial City, this is surrounded by yet another, slightly smaller wall. Inside the Imperial City is what used to only accessible to the Imperial Family, the Purple Forbidden City. Scattered around within the city’s grounds are tombs, temples, pagodas, pavilions and many floral gardens. Seven royal tombs belonging to old kings of the Nguyen Dynasty lay scattered around Hue, some of which are more accessible than others. The three most significant ones are of the kings Tu Duc, Minh Manh and Khai Dinh. These tombs are easy to visit and remain in good condition. Emperor Khai Dinh’s tomb is located on a steep hill at Chau Chu Mountain near Hue, this stands out in comparison to other royal tombs, due to the combined eastern and western influence in its architectural design. The sides of this rectangular tomb structure hold the largest dragon sculptures in Vietnam. Other features include an imperial courting area with the emperor’s concrete stele, and twelve stone guard statues. Within the palace are intricately detailed porcelain and glass decorations strewn across the walls, and the ceiling holds nine delicately detailed dragons. This is where Emperor Khai Dinh’s grave remains. The tomb of Tu Duc is an amazing Forbidden City of its own, having been built in just three years between 1864 and 1867. These enclosed grounds are split in two; the tomb and a temple area. The final resting place of this king is unknown to this day; as he was buried elsewhere within Hue, with all 200 laborers involved having been beheaded to ensure the location remains hidden. Minh Manh is renowned for his stern resistance of western influences in Vietnam and his policies of isolationism. Before his passing in 1858, the emperor had managed to achieve a more efficient government, prevented a Siamese invasion, and constructed many significant structures within the Imperial City of Hue, such as the Meridian Gate. His tomb consists of 40 structures encased in an oval-shaped compound; the main buildings are the stele pavilion, the emperor's tomb and a courting area. Did this tickle your sense of adventure? We’ve recreated the glory days of Top Gear in Vietnam, which includes these stops, among many others! Peaceful and picturesque fishing villages are dotted along the surrounding shorelines of Hoi An, a fantastic place for observing a different pace to life in comparison to much of Vietnam. Kayaking, motor boating and basket boating trips are increasingly popular tourist activities, with trips being organized to quaint fishing villages as well as to other surrounding spots with beautiful natural scenery. 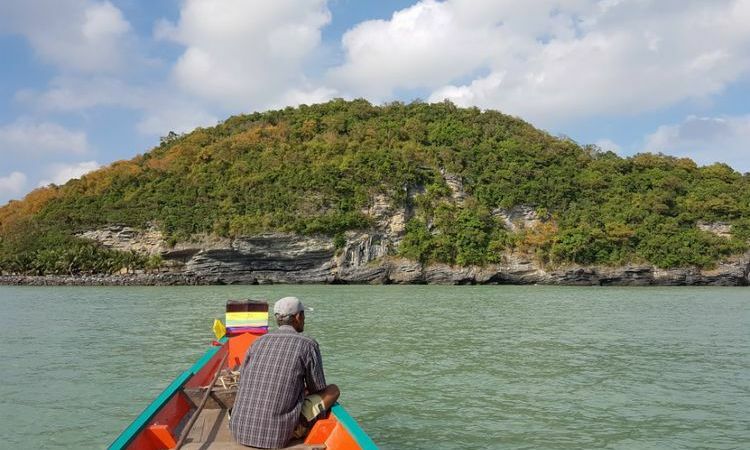 Embarking on a day tour to such fishing villages and their surrounding mangrove forests is a fantastic way to discover the local culture and do something fun outdoors. Learn about the life of a local fisherman and practice their traditional techniques which have been used by such communities for centuries. Activities, tours, and excursions are ideal for people of all ages, families with children and solo travelers, too. It is highly recommended that you embark on a trip off the waters of the seaport of Cua Dai, near the mouth of the Thu Bon River. Become initiated in the art of fishing using large nets, operated by a special pulley system. Once the net has been hoisted, it is only accessible via a small, circular “basket boat”. Using these round basket boats, you may undertake a voyage into the nearby mangrove forests where you might witness fishermen fishing for crabs and fish. Experience a local basket boating special trick where the paddler rapidly spins the stationary vessel in a circle, while it may seem easy, give it a go and find out for yourself! It could then be high time to indulge in a fresh local meal at a local family’s home. Let a fishing family show you how to create a few fresh meals, and there’s even arts and crafts, perfect for kids! If you liked the sound of this seafaring experience in Hoi An, which includes more of Hoi An, as well as other fascinating destinations packed with fun activities! Remnants of an indigenous Hindic kingdom lay scattered amongst one of Vietnam’s most popular beach destinations, Nha Trang. The Cham people worshipped the Hindu gods Shiva and The Mother Goddess. Particularly known for their expertise in shipping and trade, the Cham people built many key ports along the coastline of what is now Vietnam, forming and maintaining an essential trade route. Rivaling the northern Vietnamese, the Chams ran the ancient harbor town of Hoi An and even pillaged places as far as Angkor Wat. The kingdom of Champa lasted approximately 1500 years. While most fled towards Cambodia, a small population remained besides what is now Nha Trang. The ruins of a giant Cham temple complex known as Po Nagar lay about 1.5-kilometers outside the city center. This temple complex originally consisted of five different towers, each for a different deity. Only four remain today, the tallest of which is about 25-meters in height. From the Cu Lao Hill, where the complex is, visitors are able to soak up some fantastic views over the surrounding city of Nha Trang, its nearby mountains and the glimmer of life along the ocean. Other sights or experiences include mystical Cham music and dance, pottery and traditional weaving! Events and festivals to honor the last vestiges of the Cham people in Vietnam are held at the Po Nagar Temple annually. At the Po Nagar Festival, learn about the history and architecture of the Cham people, and become captivated by their unique Apsara dances and a range of traditional activities. The festival is held either at the end of April or during the beginning of June. It is to honor the Holy Mother of the Cham Community who in addition to protecting the Cham people from natural disasters is believed to have taught them how to cultivate crops, breed livestock and weave fabrics. Da Lat (Dalat), a rather small yet popular tourist destination in the Central Highlands. 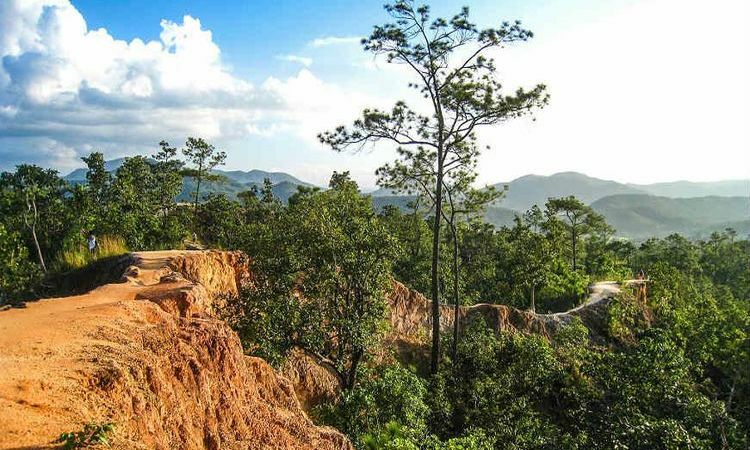 A hilly, pine tree sheltered misty town, sometimes referred to as the “City of Eternal Spring”, Dalat has a subtropical highland climate, it is a very fair weathered place in comparison to Vietnam’s lower lying tropical climates. Paying a visit to Dalat would simply not be complete without checking out the buzzing scenes of the night market. Set along Nguyen Thi Minh Khai Street are countless market stalls, goods here vary from tons of different types of street food to really cheap clothes, flowers, textiles and souvenirs of all sorts. This night market becomes a walking street during the weekends, making it much easier to stroll around without having to bob and weave through any oncoming traffic. Shopping isn’t the only attraction at the Dalat night market; many locals congregate here, especially during the weekends to enjoy the vibrant atmosphere, with sights of children frolicking, people watching a variety of street performances, kicking shuttlecocks about the place, roller skating and much, much more. Restaurants and food stalls are easily noticeable from their brightly beaming lights that gently sway about in the cool breeze. Find many different traditional Vietnamese dishes such as rice noodles, grilled foods and even a Vietnamese take on pizza; a thin slice of grilled rice paper topped with a variety of delicious meats and herbs. This is a one-of-a-kind show of choreographed storytelling through acrobatics, optical illusions and traditional music, illustrating the essence of Vietnamese spirit. Depictions of rural Vietnamese landscapes through the elusive swaying of enormous rice baskets and massive bamboo poles, forming various creatures, thrilling situations and moments of daring acrobatics, all feasted by your eyes as you sip a refreshing drink in the comfortable confines of the French designed Saigon Opera House. The A O Show encapsulates the often humorous contrast between the serene lifestyles found in Vietnam’s rural areas and the noisy organized chaos found within its many cities. In a unique bamboo circus-like performance, experience a variety of contemporary dance, thrilling acrobatics and live music by traditional folk instruments. Not to mention, the building you’d be sitting in is a 120-year old National Relic. Do you have an interest in all things art and fashion related? We’ve organized a comprehensive trip around Thailand, Cambodia and Vietnam with a special focus on all things related to the culture surrounding traditional Southeast Asian fashion! The Mekong Delta is a large waterlogged region in southwestern Vietnam; it is also where the Mekong River empties out into the East Vietnam Sea. Local communities are famed for their agricultural produce and fishing. Life in the Mekong Delta consists of moving about on a network of intertwining rivers and many of the villages or communes are only accessible by boat. Floating marketplaces are a landmark for life in the region, and the floating market of Cai Rang is the most famous one of them all. 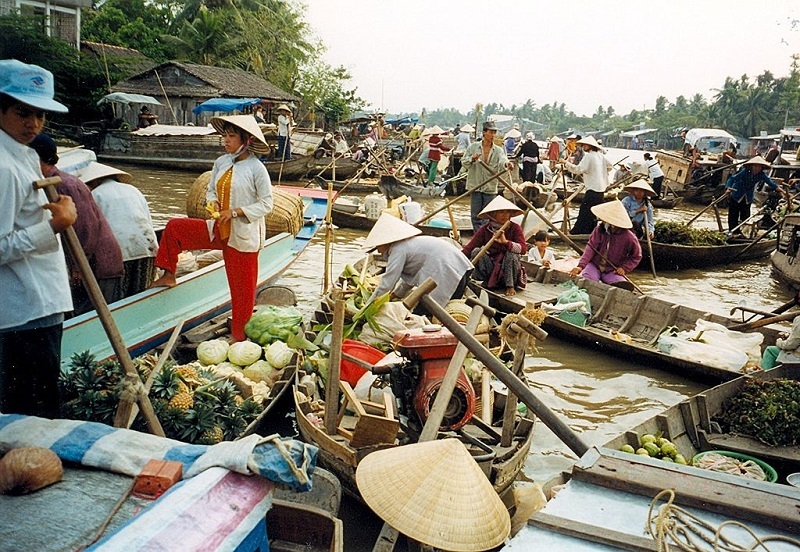 This floating market has bobbed atop the river waters a few kilometers from Can Tho City for over 100 years. This growing market serves as a busy trading community for locals, a bustling spectacle that is absolutely mind-boggling even for the more experient traveler. It has been frequented and featured in international television series’, and explored by renowned traveling chefs such as the likes of Anthony Bourdain and Gordon Ramsay, both of which were impressed by this marketplace. Watch as people skillfully navigate past one another with their overloaded boats filled with different goods ranging from lumber to piles of juicy pineapples. This is a great place to sample a host of local fruits, freshly picked from local farms nearby. Besides buying and selling fruits, floating restaurant boats ensure that nobody goes hungry while working at or visiting the place. Tons of great local dishes can be sampled here, such as Com Tam (broken rice) or Hu Tieu (a pork noodle soup). Built by the National Liberation Front (the NLF), a massive network of tunnels such as that of Cu Chi remain spread throughout Vietnam. These tunnels were primarily used by the NLF to hide from Southern Forces during air raids and ground combat. The Cu Chi tunnels were used as a base for operations during the 1968 Tet Offensive, one of the largest military campaigns of the war. Though mainly used to hide from the barrages of falling bombs and clouds of noxious gasses used by the United States military during the Vietnam War, these tunnels were also used as ammunition caches, communication and supply routes, hospitals, and as living quarters. Such tunnel systems played a pivotal role in the succession of the North Vietnamese forces in countering the growing efforts of their rivaling Southern forces. During heavy bombings, the NLF would sometimes remain underground in hiding for many consecutive days; unfortunately, this did not come without problems. The 121-kilometer tunnel complex of Cu Chi was riddled with a variety of booby traps; punji sticks, trap doors and dead ends rendered entering the tunnels a near-suicidal feat. Today, the trapdoor entrances to the Cu Chi tunnels have been widened along with their inner passageways to allow for visitors to comfortably experience what life underground was like for the North Vietnamese guerilla forces. Visit the war memorial and find out what a typical NLF lunch tasted like, browse souvenir shops, or fire a number of assault rifles such as the AK-47 or the M60 light machine gun. 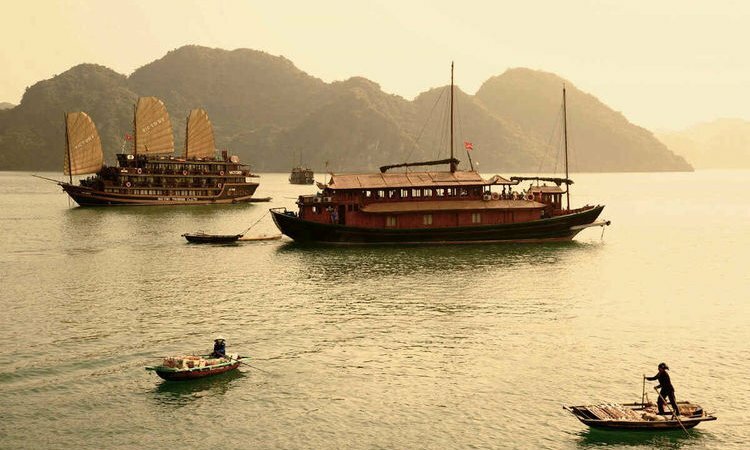 Now that you’ve read about a few spectacular places to visit in Vietnam, and some intriguing cultural things to do while you’re there, have a look at some of our sample itineraries and let us know what you think!